Have cards but don’t know how to use them? Consider yourself a good card reader, but want to get even better? Want tips to help bring Spirit into your readings? Need help communicating what your reading is saying? Want to open up your communication to the Universe? If so, we have a special in-person event for you! It’s called The Oracle Card MasterClass, and is devoted entirely to helping you use your card decks, “bring in Spirit” and give accurate, transformative readings to yourself, friends, family, and clients! 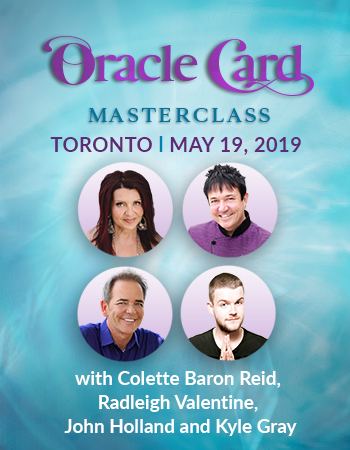 At this event, you’ll learn from oracle card experts who’ve worked with (and published) cards for years! Join me, Colette, Kyle, & Radleigh as we guide you, step-by-step through all things Oracle Cards at this event. You’ll walk away with renewed empowerment, a deeply-felt connection with the Divine, and clues to your purpose and path on Earth. During this special evening, John will present a fascinating insight into how a medium connects with Spirit to bring healing messages of hope, love, and inspiration. John will explain how our loved ones on the Other-Side continually try to send us signs and symbols to let us know they are still connected to us. He will also explain how you can have your own personal connections. He will spend the majority of the evening giving as many mediumship readings as possible. Please note, by attending this event, it does not guarantee a reading. 16 is the minimum age to attend - no children please. Join world famous medium John Holland as he shares messages with the crowd from the other side - introduced by Jenniffer Weigel. In addition to delivering messages, John will explain his process every step of the way to help educate the audience about how mediumship works. Join Psychic Mediums John Holland & Janet Nohavec for an Evening of Messages from Spirit. 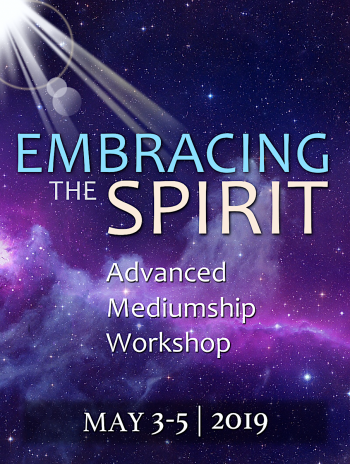 This event is open to all, and kicks off a separate Embracing the Spirit - Advanced Mediumship Workshop weekend. Both John & Janet will devote the majority of the evening to delivering messages from your loved ones on the Other-Side. How does a psychic medium bridge the two worlds to connect with Spirit? How does a family member or close friend who has passed make their presence known? Do they have the ability to influence your physical lives or why do they draw close at certain times? How to recognize the signs your loved ones send you, and how to interpret them for yourself? 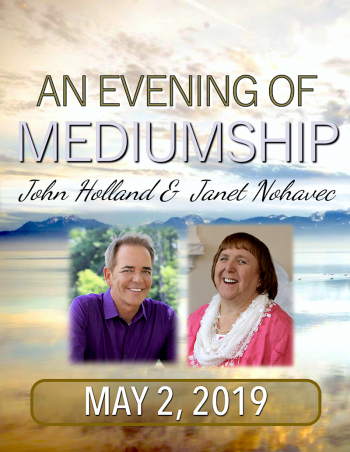 This advanced mediumship weekend is open to intermediate and advanced students and is a rare opportunity to study with John Holland and Janet Nohavec. Together they will assist you in working with Spirit to enhance and build greater confidence and to push the boundaries of your own mediumship. This class is limited to just 50 participants, and John and Janet will offer practical guidance and refine your connection to Spirit in a positive and constructive manner. 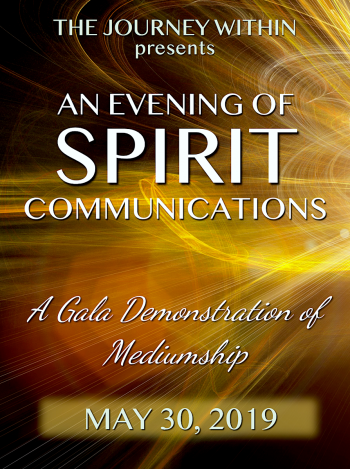 Join international mediums John Holland and Janet Nohavec for a gala demonstration of mediumship. Pre-registration is required. This is an event where John and Janet will be giving messages to some of the people in the audience. The medium(s) give as many messages as the time of the event allows. Please note, if you attend, you are not guaranteed a message. Please try and keep an open mind; try not to fixate on only one person that you'd like to hear from. If you understand most of the information the medium is saying, please raise your hand and speak up when the medium addresses you. It is helpful for the medium to hear your voice, however, please do not volunteer information to the medium. Mediumship works through the natural psychic faculties with which we are all equipped. Once a link with Spirit is established, a medium will receive information through the natural psychic senses of clairvoyance, clairsentience, or clairaudience to be able to validate the link and deliver authentic and empowering messages. Join John Holland and Janet Nohavec - two of the most genuine and qualified professional spiritual mediums for this rare 2 Full Day Workshop, which has been created specifically for mediumship students of all levels who already possess a good basic understanding of the mechanics of psychic ability. 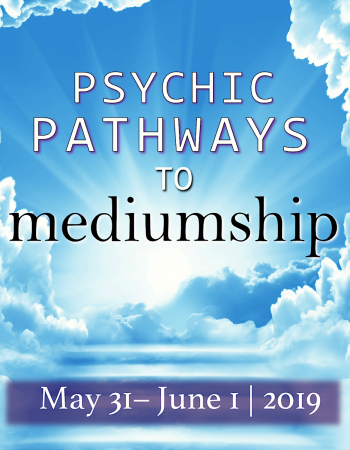 This is not a psychic development weekend – but a chance to better understand and strengthen the spiritual power of your psychic abilities that you already possess, so you can become stronger and more evidential with your mediumship. Celebrate Your Life is one of the most amazing Soul-Fests in the world! 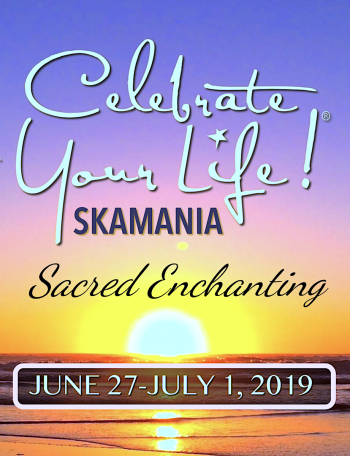 I love being a part of this event as it brings people together from all over the world and you get to experience all these powerful spiritual teachers all in one place at one time. I will be giving an interactive lecture "Revealing Your Soul Senses - Unlocking the Power Within" with group exercises and of course some LIVE readings! There’s a dramatic shift in our consciousness occurring. We’re becoming more psychically sensitive, more empathetic to the physical world, the spiritual realms, as well as each other. Not too long ago, people were content to simply go to an intuitive or a psychic medium for a reading to get some guidance in their life. But now, people now want more! Why am I so empathically sensitive lately, and what should I do about it? Ifeel I’m in touch with those on the Other-Side, so does that mean I’m a medium? Is the Spirit World getting closer to our world? Can I learn to control my psychic abilities? This lively and interactive workshop, with LIVE psychic exercises will answer these questions and more. John will show you that you don’t have to be a psychic or medium to tap into the abundance of extraordinary abilities that often lie dormant in each and every one of us. How to tap into your soul senses, and how to put them to good use with your personal relationships, your health, important business decisions, as well as every aspect of your life. The mechanics of your inner-awareness to provide a deeper understanding of how your aura and energy centers (chakras) play a vital role in your psychic development, and how they help to create a harmonious balanced body, mind & soul. 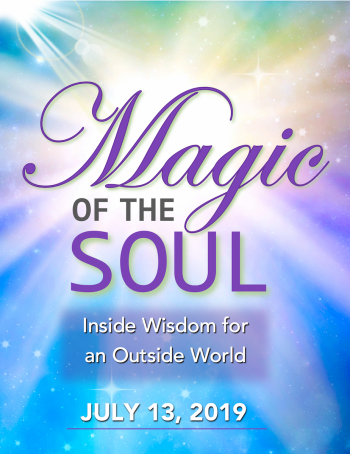 This transformational and energetic workshop, Magic Of The Soul • Inside Wisdom for an Outside World has been designed to help you lead a more authentic life that aligns with your aspirations. If you’ve ever felt overcome with feelings of being trapped, constrained, or unfulfilled or you often ask yourself, “What is my purpose?” or “How can I lead a more soul-filled intuitive life?” then this workshop will show you how to tap in to one of the most powerful and magical forces in the Universe—your soul! In this all-day workshop, John will guide you step by step to develop a conscious awareness of the spiritual laws that shape your life and help you reconnect with your individual soul force. Understand the purpose of your soul and open yourself to a guiding higher consciousness. Dismantle the barriers created by your outer-self, so you can unveil your true inner-self. Use spiritual energy to heal yourself and others, so you can control your own path. Enhance your body, mind, and soul to live a life of harmony. Experience a special and powerful meditation (Soul Entrainment ®) that John was certified in, that enables him to take you safely to a level where you can communicate with your soul to receive the answers and healing that you have been searching for. This workshop is more than just a guide ... it’s a way back to living from the inside out. BONUS: John will end the day with a demonstration of his mediumship and show you how he uses his psychic soul senses to connect to the Other-Side and give messages to some of the participants. IMPORTANT: Once you are registered, the workshop fee is non-refundable and non-transferable to other workshops, classes, or events. So please be sure you are ready and able to make this commitment to yourself and your personal development BEFORE you register. All workshop fees are final. I hope you will join my online community so you can receive not only my regular Soul Inspirations newsletter, which is full of inspirational and healing messages, but also get advance notice of special events and offers, as well as connecting with like-minded souls all over the world. Sign up today! This website is the ONLY official source of information about John Holland, his workshops, online courses, speaking events, and other proprietary information. John and his office make no representations or endorsements of any other websites that contain information about him, his workshops or his products.